The 2019 Chrysler Pacifica has finally arrived, and brings with it performance, safety, and some amazing technology features that drivers from Wilsonville, Woodburn, and Sherwood will love. The team at Findlay Wilsonville Jeep Ram took the new Chrysler Pacifica for a spin, and it exceeded all our expectations. Want to learn more about this vehicle, and whether it’s the right fit for you? Then read our comprehensive review to discover everything the 2019 Chrysler Pacifica has to offer! The Chrysler Pacifica comes standard with a 3.6L Pentastar® V6 engine that provides power you can feel on every turn. It offers 287 horsepower and 262 lb-ft of torque. Variable valve timing (VVT) and Electric Start-Stop technology help ensure your engine provides optimal fuel efficiency wherever you may go. Alongside all that power, you get a 9-speed FWD automatic transmission that provides a smooth, intuitive drive with comfort and style. Towing is made simple and easy with the 2019 Chrysler Pacifica. This model has a towing capacity of up to 3,600 pounds when properly equipped, so whatever you want to bring along, your Chrysler Pacifica can handle it! Chrysler prides itself on providing superior safety for drivers, and the 2019 Chrysler Pacifica more than delivers on that front. There’s ParkSense® Front and Rear Park Assist, which is great for keeping you aware of objects that may enter your path while you’re trying to park your vehicle. Parallel parking is a snap in the Chrysler Pacifica, thanks to available Parallel and Perpendicular Park Assist. This nifty feature provides you with clear visuals and instructions to make parking in even the trickiest situation a total breeze. And when it comes to keeping safe on the road, LaneSense® Lane Departure Warning with Lane Keep Assist is a dream come true! It alerts drivers if they stray from their lane, and helps them get back into it safely and quickly. If you like staying entertained even while on the road, you’re going to love the 2019 Chrysler Pacifica. 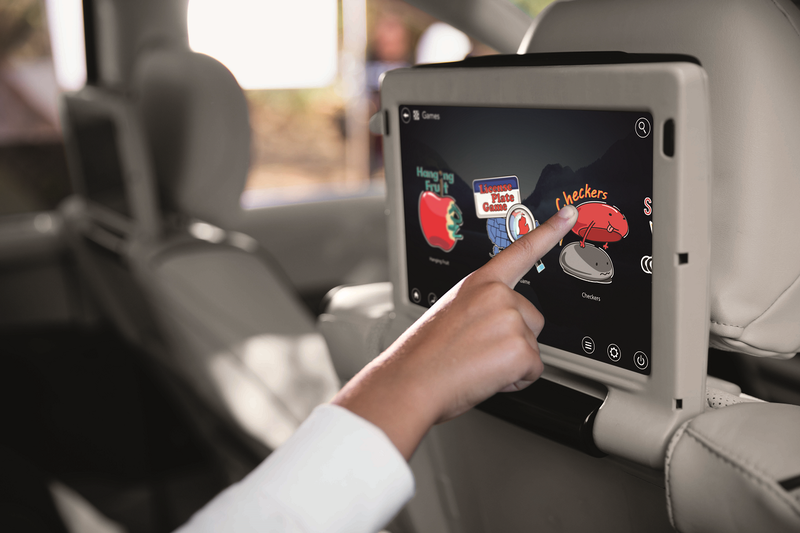 The available dual 10-inch HD touch screens come with Uconnect® Theater, which provides endless entertainment options for the whole family. It comes with a Blu-Ray™ player, dual HDMI inputs, wireless headphones, and wireless streaming so you can stay connected to all your favorite apps and games even when you’re on the road. 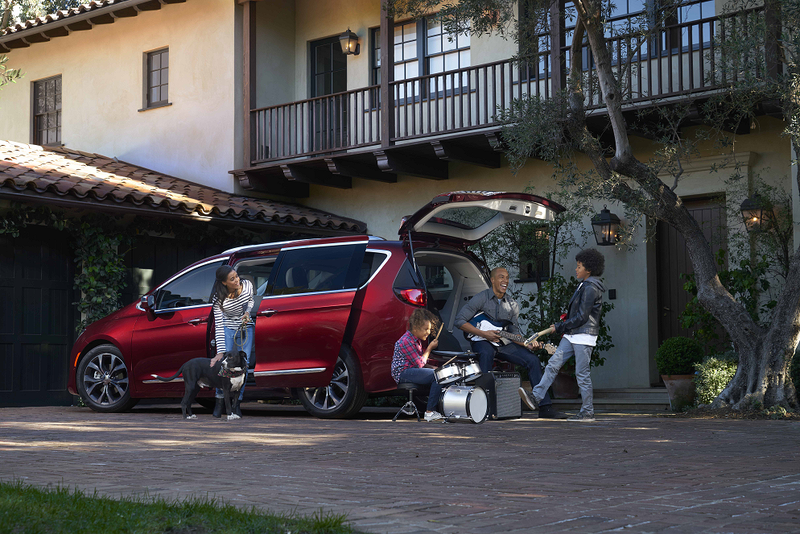 There’s space for everyone to get comfortable in the 2019 Chrysler Pacifica. There’s a whopping 40.1 inches of front headroom, a spacious 59 inches of front hip room, and a luxurious 41.1 inches of front legroom for maximum comfort while on the road. Storing all your stuff is a snap, thanks to the spacious cargo room. Behind the first-row seat, you get 140.5 cubic feet of space for all the things you need to bring on your journeys. With tremendous power, a smooth drive, and an assortment of amazing features, the 2019 Chrysler Pacifica is a car you’re going to love driving, whether you’re heading to Sherwood, Woodburn, or Wilsonville. Want to try it for yourself? 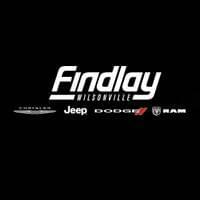 Then stop by Findlay Wilsonville Jeep Ram and schedule a test drive today. Our team will work with you to find the right car to fit your lifestyle, so you can drive off happy!